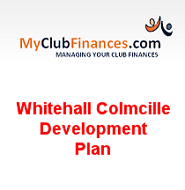 Whitehall Colmcilles won the Under16 A Shield Final in Ellenfield Park on Saturday afternoon by the narrowest of margins, after exrta time in a gripping and absorbing contest. Kilmacud led by a single point at half-time of regular time but Whitehall were quite confident as they began the second half backed by a significant breeze. With five minutes to go Whitehall looked set for victory as they held a four point lead. However, Kilmacud were not finished and scored a goal and a point in the closing minutes to bring the game to extra time. 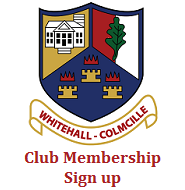 Extra time started badly for Whitehall as they conceded an early goal and a point but, the commitment, hunger and excellent hurling skills that the lads showed narrowed the gap to a single point yet again by half time. Kilmacud went a further point ahead during the second period of extra time before Eoghan O'Donnell took on the Kilmacud defence late in the game and somehow managed, from a seemingly impossible angle, to squeeze a shot into the net past the excellent Kilmacud keeper for what turned out to be the winning score. Both teams deserve great credit for a fantastic game of hurling. The game was really well supported and the lads were really appreciative of the encouragement and enthusiasm from the sidelines so thanks to all who turned out. A great end to the season for our u16 hurlers (ably supported throughout by the u15s).